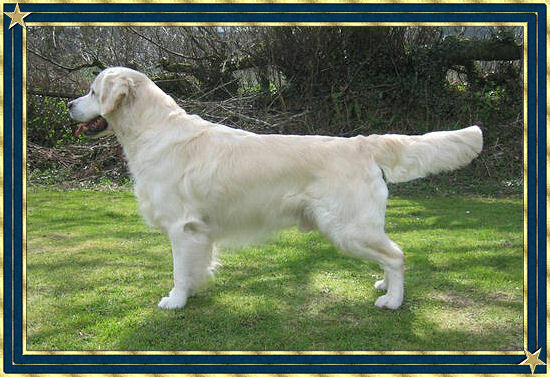 Pale dog of good height, very nice head and expression, good neck, shoulders and front, bone and feet, strong hindquarters, moved very well and well worthy of his place in this strong class. 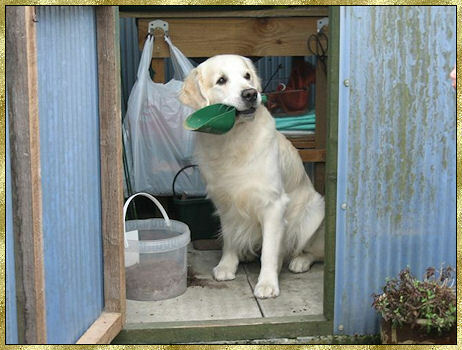 Gundog Society of Wales Championship Show. Trewater Juno for Dreamwel. Mid Limit Dog. 2nd. Quality dog, similar type to 1. Very appealing head, dark eye and kind expression, good length of neck and shoulder angulation level topline, excellent hindquarters, moved with drive, well presented and attentive to handler. Trewater Juno for Dreamwel. Mid Limit Dog. 1st. Lovely cream who moved as well as any with style and purpose, close up for top honours but just failed to stand out in final static line-up. Well balanced head with friendly expression, good length of neck, shoulder and upper arm, straight forelegs with good bone and feet, ribs well sprung, loin short and well muscled with level with level topline and tailset, well bent stifles with strong rear pasterns and in excellent coat and condition. Trewater Juno for Dreamwel. 1st Post Graduate Dog. Super head, neck and front assembly, blessed with many great attributes, particularly his very good conformation, level toplineand strong quarters. Kept his topline on the move which he did correctly and with plenty of drive. Shown in lovely coat and condition. Trewater Juno for Dreamwel. 1st Post Graduate Dog. 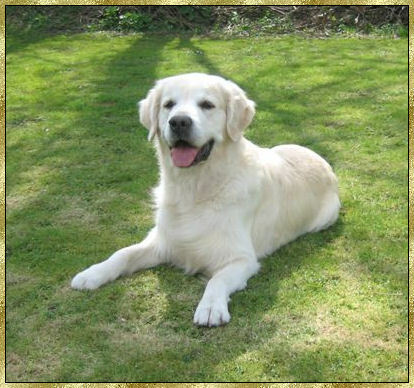 A well constructed and balanced dog, full of quality, beautiful head and expression, moved very well, considered for RCC. Trewater Juno for Dreamwel. 1st Post Graduate Dog. Strong Class. Pleasing head, good depth of muzzle & broad skull. Correct layback of shoulder & upper arm, well bodied, good spring of rib, strong hindquarters, moved well. South Western GRC Championship show 2nd place in Minor Puppy and so qualified for Crufts 2006 ! Good head with soft kind expression, dark eye, good pigment, clean strong neck into well laid back shoulders, good topline, strong hindquarters, carrying right amount of weight, sound steady mover showing a confidnent happy attitude. Junior Dog - Handsome head, melting expression, jet black pigment and eyecatching movement won him this class. Lack of coat revealed his attributes as well as his immaturity. Straight front, good bone and feet, good length of neck, correct forehand angulation, good topline and tailset, strong second thigh and straight rear pasterns, moved with style and precision.